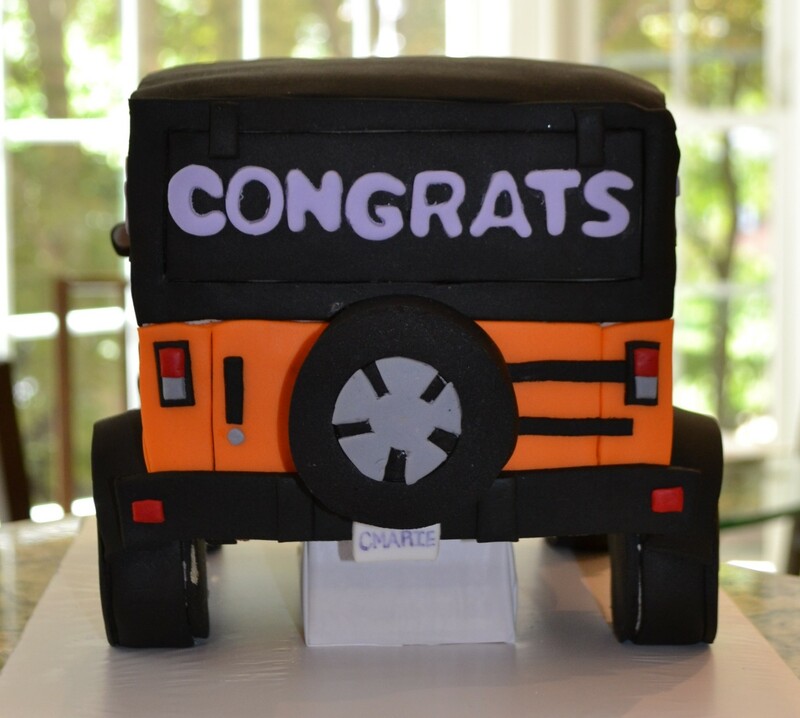 I created this cake as a graduation present for my client’s daughter who said that all she wanted for a gift was an orange Jeep Wrangler cake with black trim. I constructed the cake using two 9 x 13 in cakes that I stacked and carved. All of the cake was edible, including the wheels which were made of cake and fondant. To get all of the details just right, I did an extensive amount of research on the look of many different types of Jeep Wranglers. 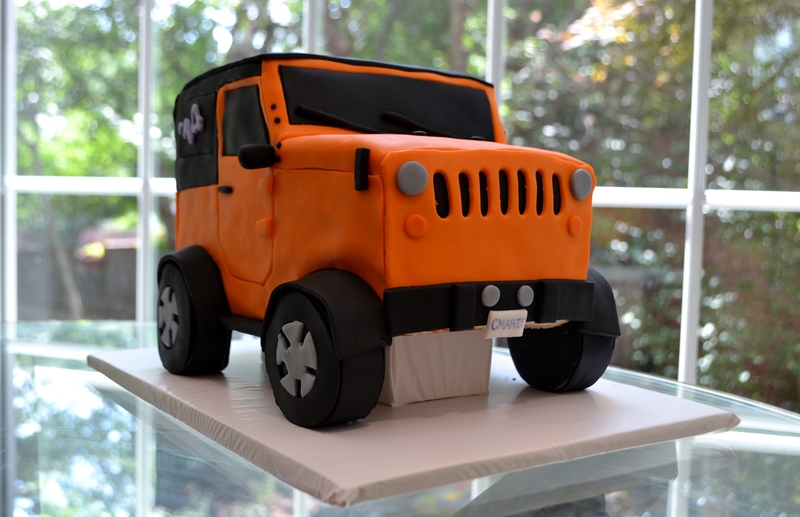 I think that one of the most important things when creating a cake is to make sure that, as much as possible, you include the littlest details, including the orange hinges on the doors and black rivets on the windshield. This really does make for a more realistic and polished looking cake.